We provide delivery to any place in the UK. We try to quarantee the shortest possible delivery time to our customers. We also quarantee safe delivery to England, Scotland and Wales with our own fleet of cars regardless of the order size. All of the offered products come with 2 year warranty. We will contact you the day before planning delivery. You will be informed about estimated hour of delivery. 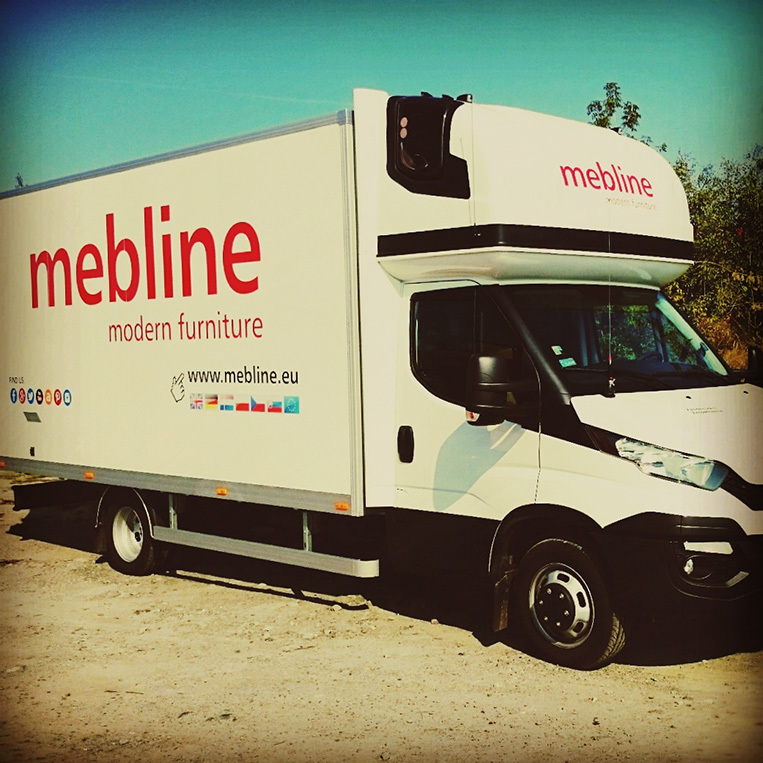 Due to the fact that our driver delivers products to several customers, please be prepared for furniture collection - provide two people to carry funiture to your home / flat. NOTICE! Our drives are no oblidged to carry furniture to your home / flat. Carrying products is subject to driver’s decision. Carrying service is not included in delivery costs. Approx. delivery time for flat pack furniture (chest of drawers, wall units, wardrobes, bedroom furniture) is about 15-40 working days - many products are in stock so please contact us before purchase. Approx. delivery time for upholstery (lounge sets, sofas, couches, corner sofas, chairs and tables) is about 20-40 workig days. During pre- holiday seasons (before Christmas, Easter) delivery time can be prolonged for 5-10 working days.